This is where you will find out what’s happening in the world of Sarnia Food and Drink Manufacturing. We will share with you latest news about our facilities, what our team up to and also industry news – and any other snippets that we think you will find of interest! Welcome to the latest addition to Sarnia! There has been much excitement recently at Sarnia HQ as we have finally take delivery of our shiny new piece of machinery. We have been wanting to purchase a form, fill, seal machine for many months now and after much research, to ensure we chose the right machine, and many weeks of waiting for delivery, it has finally arrived! This machine means we now have the facilities to fill small pouches and sachets. 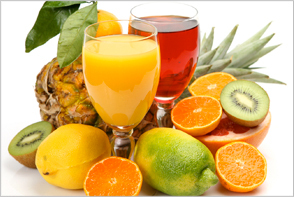 Ideal for – hot and cold sauces, honey, juices, vinaigrette and much, much more! 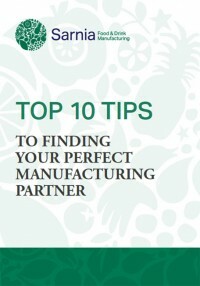 It can take time to find a reliable manufacturing partner that is right for your food or drink business. However, it is certainly time well-invested as ultimately it will mean that you will have more time to focus on marketing and selling your products, as you won’t need to spend all of your time in a production kitchen.